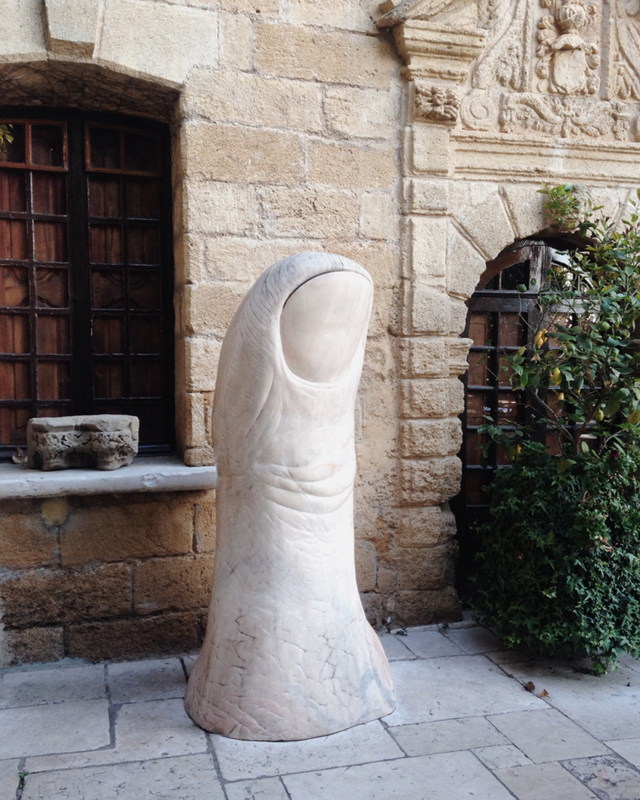 Thumb sculpture by César Baldaccini, standing at the main entrance of hotel La Colombe d'Or, Saint-Paul de Vence, France. is there to cheer you. that is what you will find.